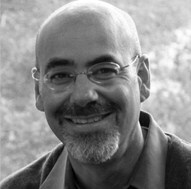 Eric Wertheimer is Professor of English and American Studies at ASU. Dr. Wertheimers most recent book is Underwriting: The Poetics of Insurance in Early America, published by Stanford University Press. He also authored Imagined Empires: Incas, Aztecs, and the New World of American Literature, 1771-1876, published by Cambridge University Press. He has published articles on topics in early and nineteenth century American literature in American Literature, Early American Literature, Nineteenth Century Literature, and Arizona Quarterly. Professor Wertheimer has published poetry in Exquisite Corpse, Perihelion, Diagram, Shampoo, Adirondack Review, Muse Apprentice Guild, among other journals. Yourself. I mean part of your body. And that is how you know yourself. An equation of human happiness. All that our minds sit beside and want to destroy. Through their nose, to pee on their earth.